If you've ever crushed up a bunch of Cheetos and sprinkled them over a bowl of mac and cheese, then 1) congratulations on living your best life, and 2) it's about to be even easier to subject yourself to the insanely cheesy comfort food mashup, thanks to a wild new creation from Burger King. 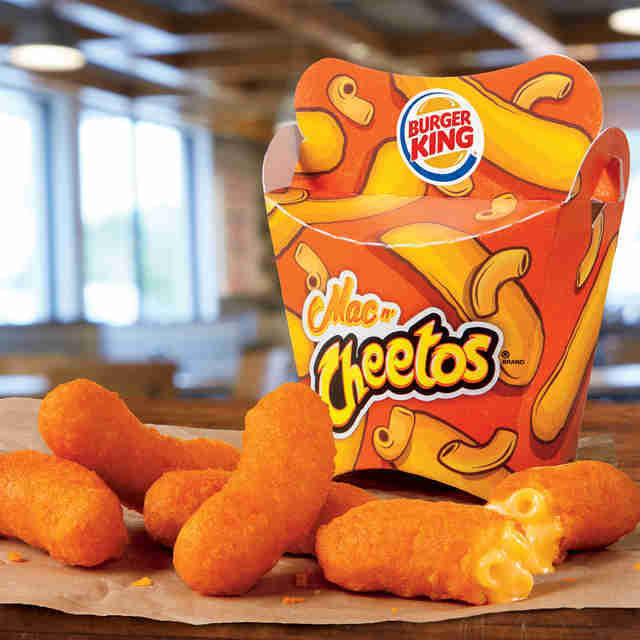 They're called Mac n' Cheetos, and Burger King plans to unleash them at participating restaurants nationwide on Monday, June 27th, according to a press release. 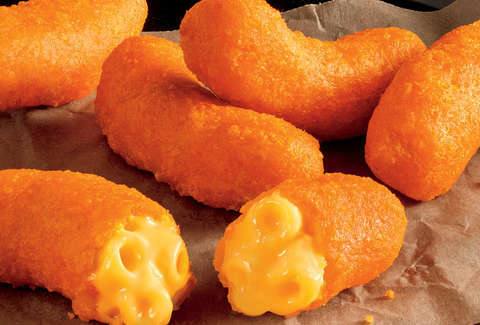 The fast food giant describes the new snacks as "portable" mac and cheese that's coated with a "dangerously cheesy" layer of bright orange Cheetos dust and deep fried into mozzarella stick-like pieces. Basically, they make your homemade Cheetos mac and cheese seem more like a kale salad. Burger King said an order of the Mac n' Cheetos will come with five pieces at a suggested price of $2.49, but only (mercifully?!) for a limited time. Of course, this isn't the first time the Whopper purveyor took deep-fried cheese and covered it with chip dust, and well, it probably won't be the last. Tony Merevick is Cities News Editor at Thrillist and thinks these things look dangerous. Send news tips to news@thrillist.com and follow him on Twitter @tonymerevick.